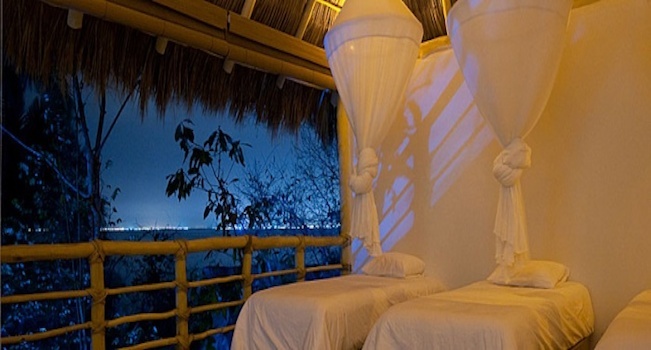 Eco-Chic Suites are characterized by a spectacular ocean view, and a unique zen-chic setting. They are equipped either with one king size bed, or two double beds. 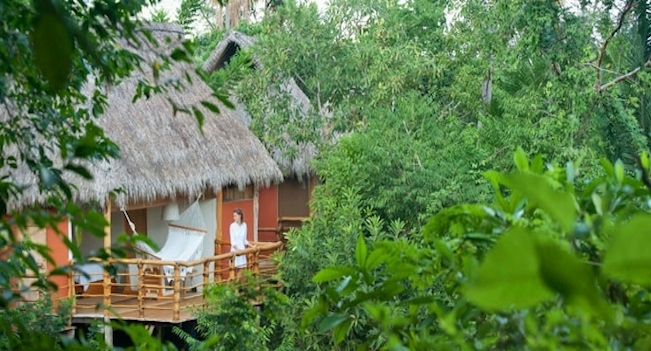 All Eco-Chic suites have a private terrace, a hammock, a sitting area, a private bathroom and a closet. They have luxurious ammenities, and amazing settings, their priviledged location on the property gives them the best view. All beds have pillow top mattress, and gorgeous mosquito netting. All rooms have an electronic safe deposit box. Hot water available in all rooms. 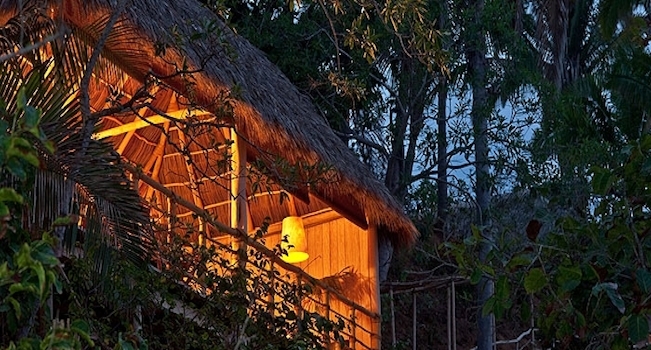 Petite Suites have two double beds with pillow top mattresses, luxury linen and a beautiful silk mosquito netting, a private terrace with an Ocean and Jungle view, a hammock, a sitting area, a complete private bathroom and a closet. Deluxe Suites come with either 2 single beds or 1 double bed. If you love outdoor living you will be in your element whilst showering in your open air shower. Kick back and unwind on your sitting desk and gaze at the beautiful view. This is a great room for single travellers, two friends, or budget-savvy couples. The Small Palapa is a spacious, dorm-style room that inspire community and friendship. They features 4 very comfortable single beds each with its own mosquito netting providing lots of privacy. There’s a single drawer below each bed to store personal belongings. With a great view of the jungle and the ocean. It has 2 bathrooms and can be co-ed or strictly girls. Conceived as a tropical haven to host spiritua personal retreats, group retreats, teacher trainingsand mind & body workshops. Xinalani is a one-of-a-kind Retreat Center bringing together the best yoga facilities, beautiful eco-chic accommodation, delicious healthy food, relaxing spa treatments and supporting staff to make your dream retreat come true, all set on a wide pristine beach and a jungle of breathtaking natural beauty. Xinalani means “seeds” in pre-hispanic language. It is pronounced shee-nah-lah-nee. 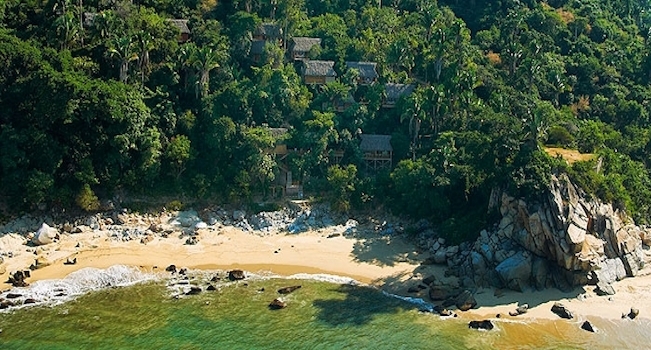 This Beach Yoga Retreat is set amongst 10 acres of splendid unspoiled jungle on the southern shore of Banderas Bay in Puerto Vallarta, Mexico. Xinalani Retreat quiet waters and pristine sand beach can be accessed solely by boat. 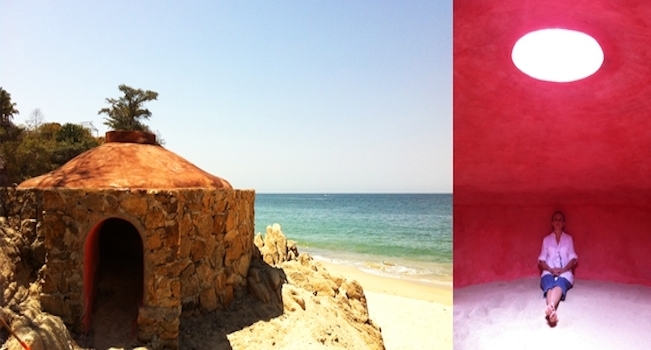 Banderas Bay is a remarkable biodiversity hot spot in the Mexican Pacific Coast. The beauty found in Xinalani Retreat creates a sanctuary for the soul, where we can escape the discord and stress of modern life. Xinalani provides a place where we can seek new meaning for our lives and restore the mind-body balance. Living Xinalani introduces us to the simplicity, naturalness and depth of beauty found in every day life. A place for quiet contemplation where we can search for inner truth. The flagship yoga studio is a magnificent palm-thatched roofed temple built on top of the hill amidst the jungle, with dramatic views of the sea. Itís all made out of wood and blends with the trees. You will be in your element with the organic footing of its wooden floor covered with bamboo boards. We are going to love letting our practice flow to the rythm of the Jungle and Ocean sounds that surround the studio. This spectacular yoga space is a big rectangle: the large side is facing the ocean. 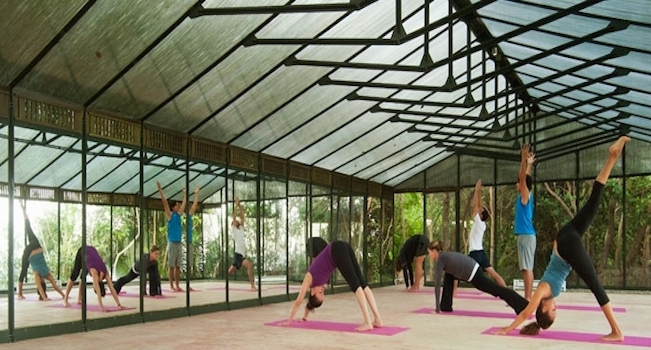 With mirrors it is designed for Bikram Yoga practice. This studio creates an amazing feeling of space and allows ocean and jungle vistas from all positions. It is equipped with 10 electrical heaters for extra-sweaty classes. Yet, it has large openings on each side to create a cross breeze and the floor-standing fans are useful for non heated sessions. HOT JUNGLE YOGA HERE WE COME! YEAHY in this spot we can yoga on the beach and be next to the ocean! The resort recommends the best practices there are naturally orchestrated by the flow of the waves (totally awesome!!) Keep your dristi on the pelicans flying by or the humpback whales sometimes splashing only a hundred yards away. 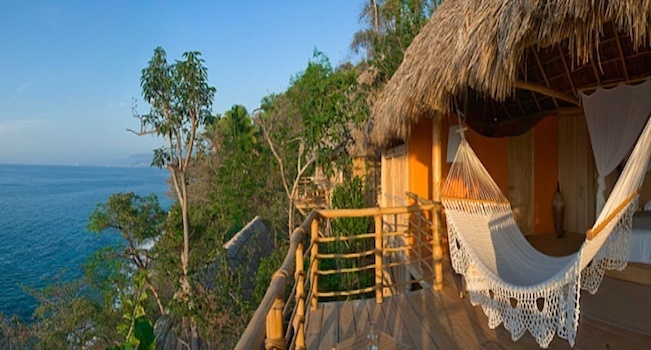 This beautful half roofed platform nested in the lush jungle was specially designed to host individuals and groups in the practice of quiet meditation. A recent extension makes it the perfect venue for a cosy yoga class for up to 8 people. Youíll be impressed by the amazing view of the bay.